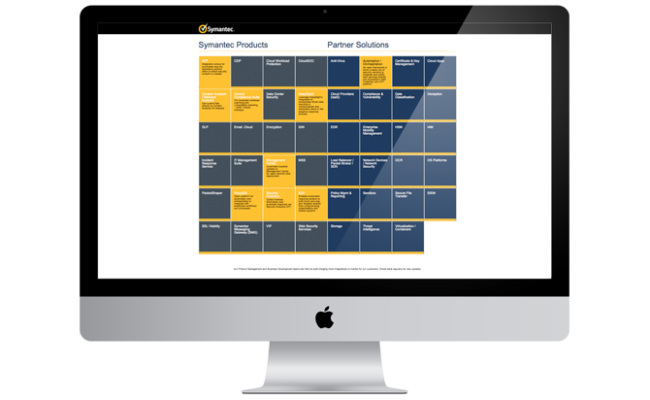 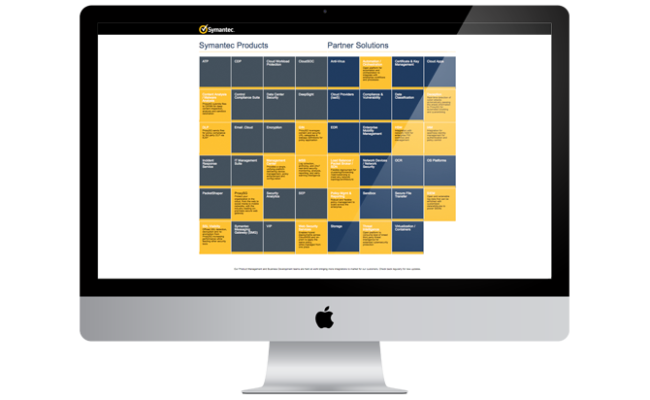 The Work: Create an interactive map that shows Symantec's technology products, solutions, and integration partners. Services provided include account/project management, technical and strategic consulting, web design and development, and content and asset management. 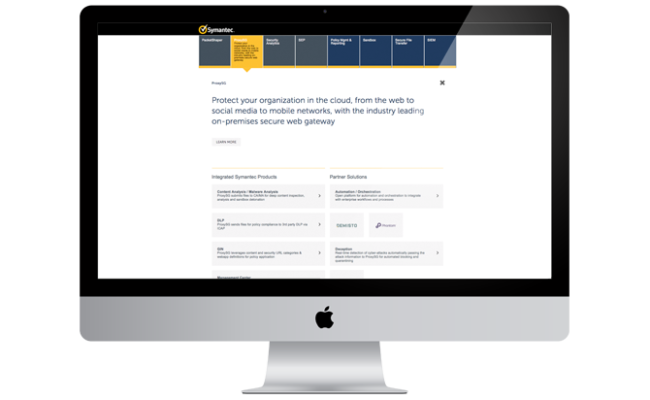 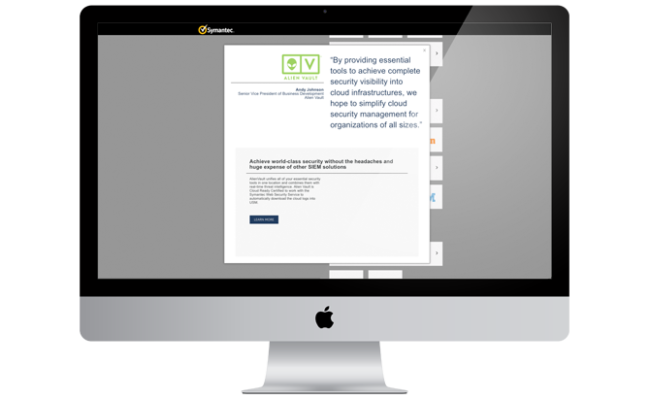 Impact: Implemented an interactive map quickly and cost-effectively allowing Symantec to highlight the breadth and depth of their integrated cyber-defense platform including their technology partners.